The Berber kilim, called (Hanbel) is a Berber carpet woven flat, thin and very dense inspired techniques of weaving kilims of orient. Unlike other Berber carpets, more dense, they have tighter knots that give them a certain finesse. 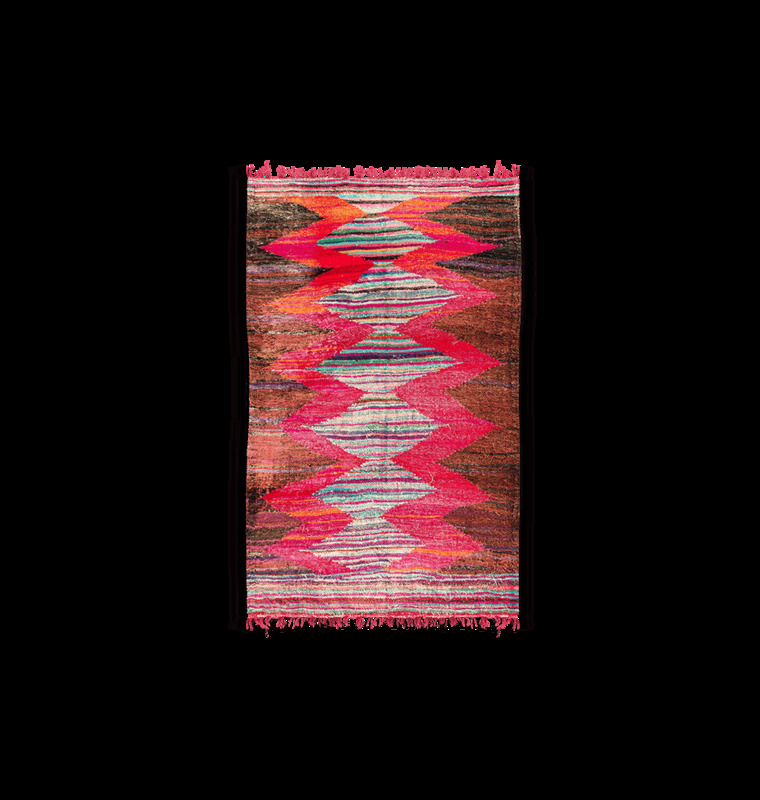 The women of the Atlas adapted this technique to their work to give birth to Berber Kilim carpets in bright and expressive colors. It includes the graphic codes of Berber art, with its associations of bright colors, as evidenced by the blue kilim or kilim red carpets. 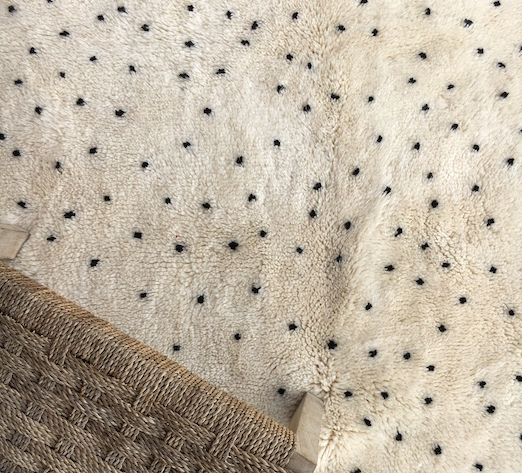 Thanks to a successful marriage between traditional know-how and modern design, this rug has evolved while keeping its contemporary or vintage style. Discover the diverse and varied collection of Boucherouite carpets, Azilal, and the classic Beni Ouarain carpet.